Hi all! This week we will be showing you recipes on how to make natural products for your pets. Every once in a while our pets might have an unpleasant smell due to bacteria on the skin which is made worse when they get wet. Today’s recipe will help you combat this problem. 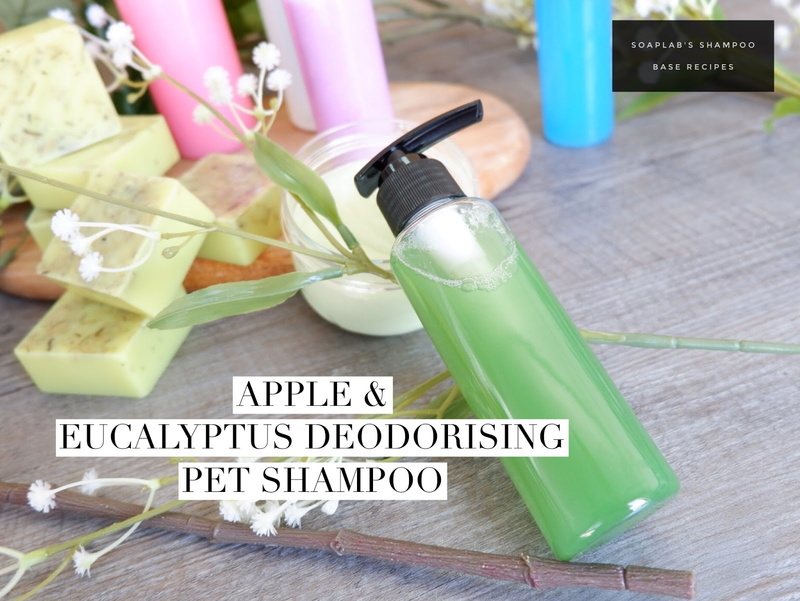 In this recipe we added eucalyptus essential oils and apple extract to a shampoo base. The eucalyptus essential oil helps combats infections on the skin, and eliminate bad odours. Apple extract helps relive itchy skin, and helps maintain the health of the skin. Finally, add green and black color pigment to make it look aesthetically nice! . Have fun!